Since the launch of the first Santa Fe in 2001 Hyundai has sold more than 1.5 million SUVs in Europe, becoming an established brand in the SUV segment. In Europe, more than 400,000 units of Santa Fe have been sold over the past 17 years – and the fourth-generation Santa Fe will continue to convince customers with its premium design, increased space and its advanced technology. 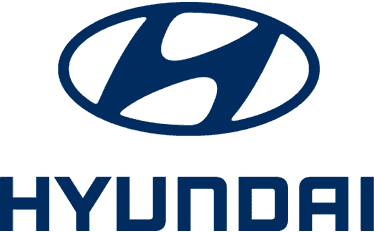 It is the cornerstone of the longstanding SUV heritage that Hyundai has built up. It also provides one of the best-in-class safety packages, remarkable roominess and innovative comfort features that enhance the customer’s daily life. The New Generation Santa Fe features an advanced four-wheel drive system with an enhanced torque application depending on wheel grip and the speed of vehicle, called HTRAC. Hyundai’s next generation all-wheel-drive technology controls the torque distribution and braking power of the front and rear wheels variably. It supports drivers in all kinds of driving situations, whether on snow, slippery roads or in regular road conditions, and enhances stability in cornering. The New Generation Santa Fe offers the choice between two diesels and a petrol powertrain. The engines have been modified to meet the new Euro 6C emission standards, resulting in improved fuel efficiency. The standard R 2.0 diesel engine has two power outputs: 150 PS (110 kW) and 182 PS (134 kW) paired with a 6-speed manual transmission or the newly developed 8-speed automated transmission (AT). The high-power 2.2-litre CRDi comes with 197 PS (144 kW) and an enhanced fuel efficiency of 3 to 4 per cent with the new 8-speed AT. Hyundai truly cares about the customer’s well-being. To comply with the highest European safety standards, the fourth-generation Santa Fe offers one of the best-in-class safety packages and industry-first safety features. All features are part of Hyundai SmartSense™ active safety and driving assistance technologies. The innovative Rear Occupant Alert monitors the rear seats to detect passengers and alerts the driver when leaving the car. The Rear Cross-Traffic Alert-Avoidance Assist is a Hyundai first too. When reversing out of areas with low visibility, the system not only warns the driver if vehicles approach from the rear side – it also applies the brakes automatically. The Safety Exit Assist prevents accidents when vehicles approach from behind by temporarily locking the doors before being opened, so that passengers will exit the car safely. Hyundai offers customers a set of multiple connectivity features: the optional eight-inch infotainment system integrates all navigation, media and connectivity features, supporting both Apple CarPlay™ and Android Auto™ as well as Live Services. The Display Audio function allows passengers to switch their smartphone’s content onto the system’s seven-inch display via Apple CarPlay™ and Android Auto™. ​Please note that the images used are for illustration purposes only and the final design and specification may vary. Images used may reflect a different specification which may differ to the UK variant. The New Generation Hyundai Santa Fe is expected Q4 2018.